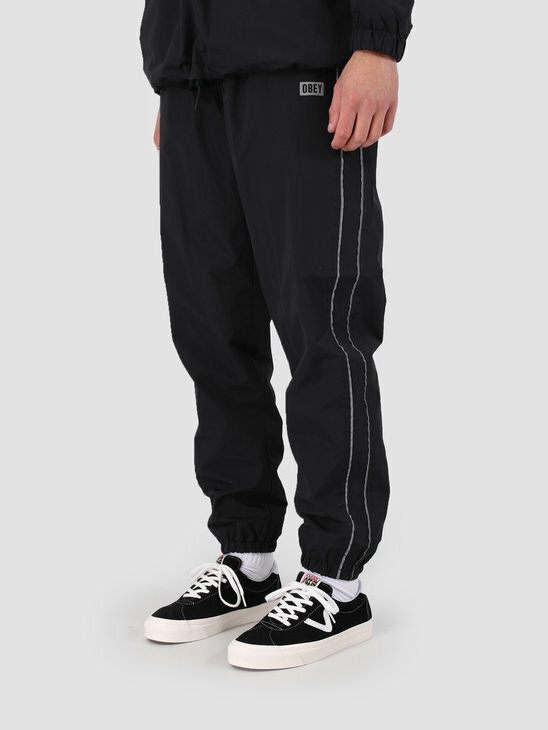 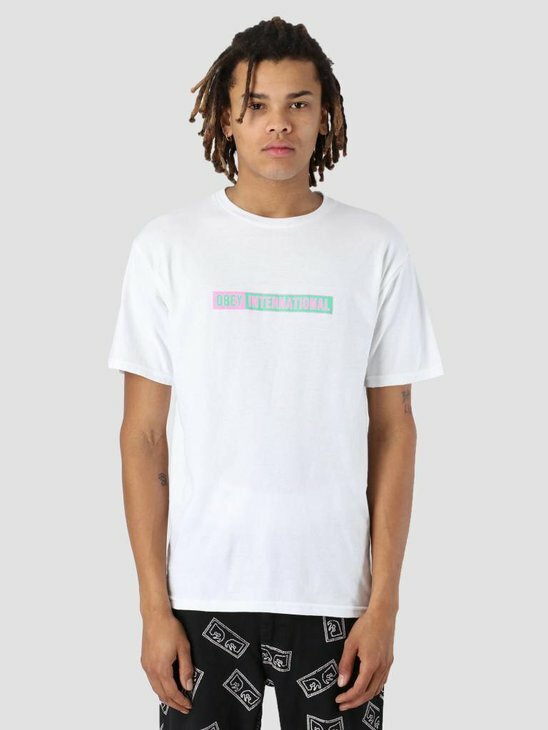 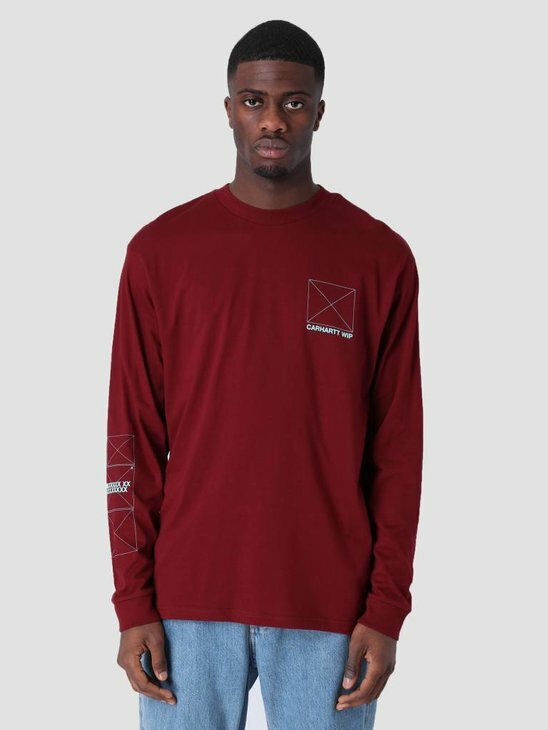 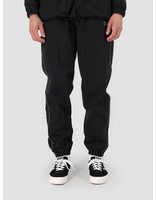 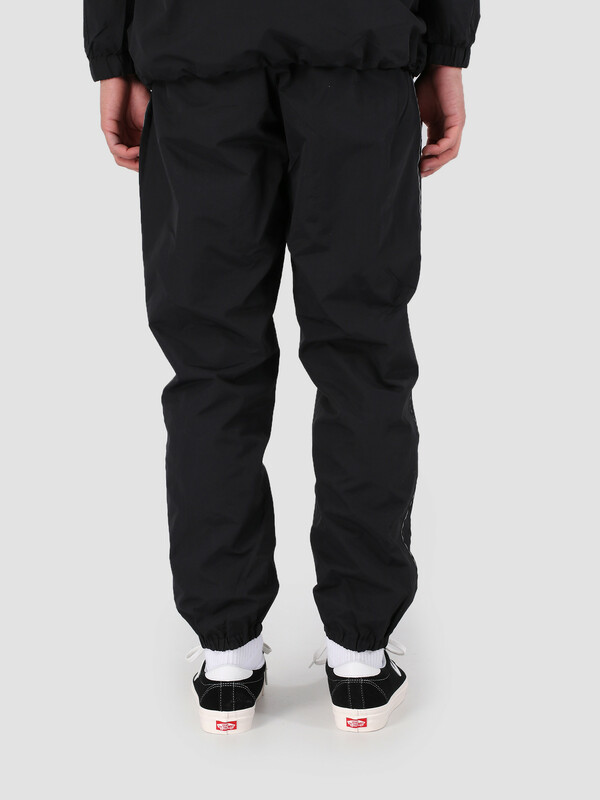 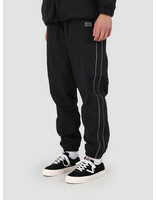 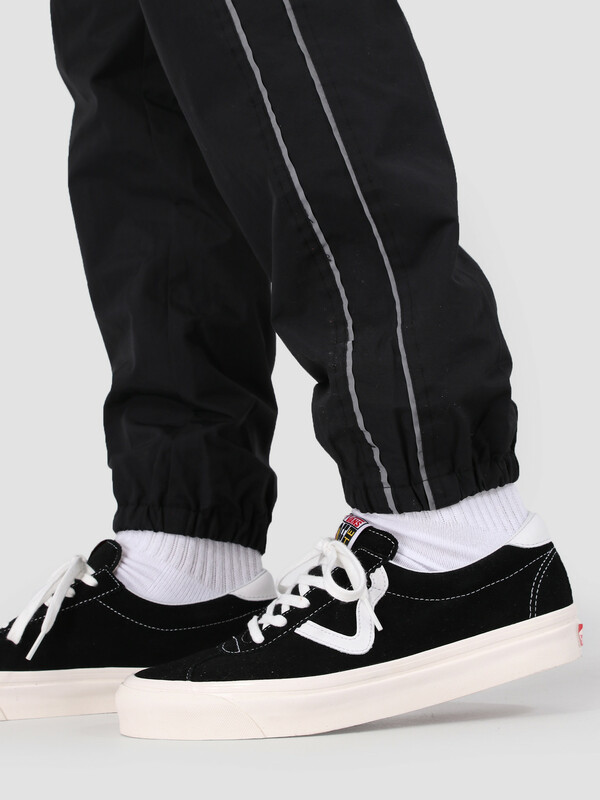 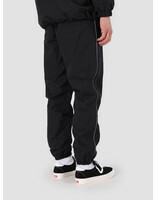 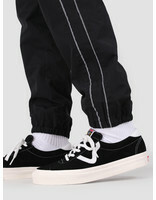 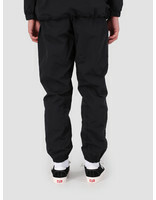 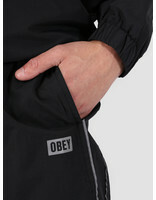 This is the Outlander Pant from Obey. 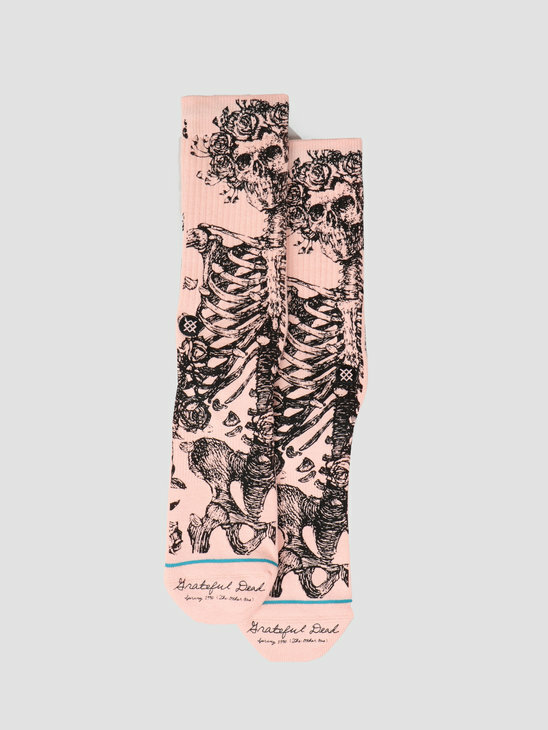 The pants are in black and have a relaxed fit. 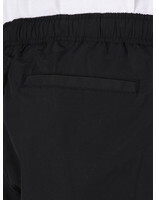 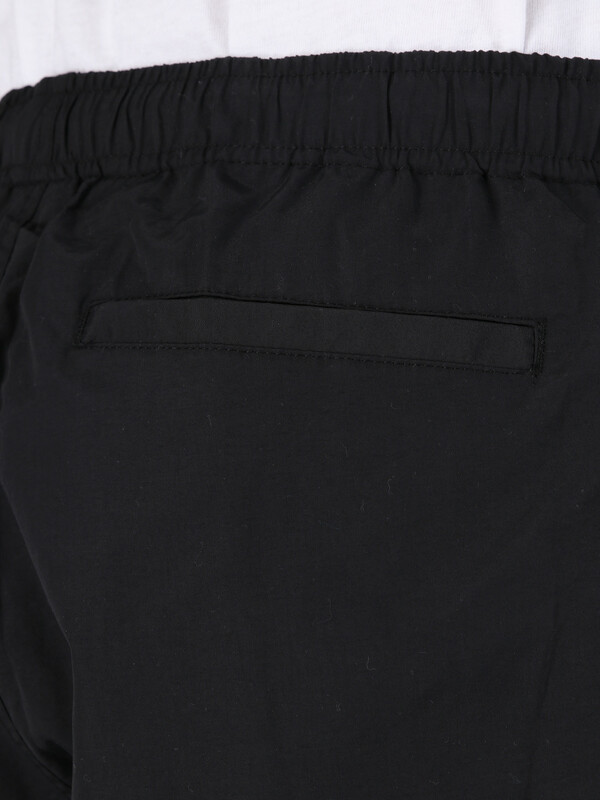 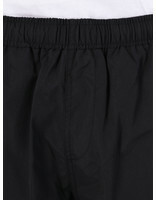 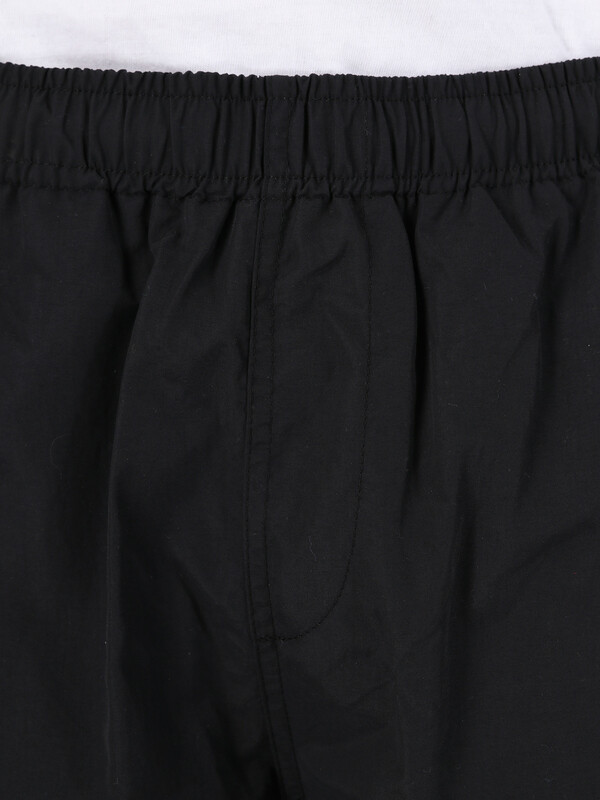 Classic athletic pants with elastic waistband and drawstring. 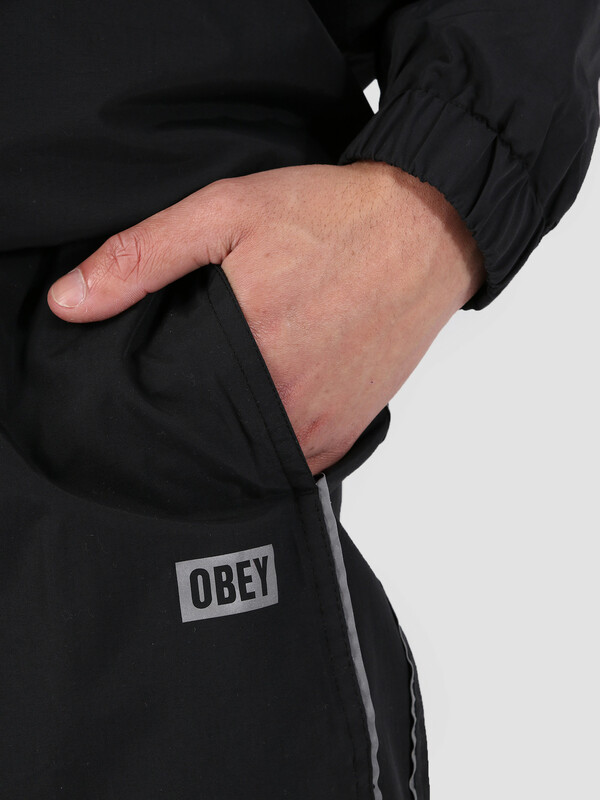 Front and back pockets, elastic cuffs, reflective piping around seams and reflective logos on the front.